Beauty Care Choices: 6 essential fruits & veges for better skin! You've always been told to eat your fruits and vegetables. There are lots of reasons for this, including they are low in calories and high it nutrients. 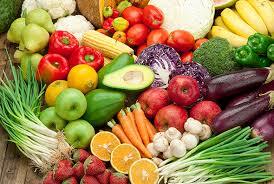 Many fruits and vegetables are also natural skin protectors. Below are 6 "must eats" that are truly skin friendly and help keep it looking its best. Avocados - the fats in avocados help reduce skin inflammation, one of the biggest culprits of premature skin aging. Carrots - the high level of carotenoids in carrots helps with lines from sun damage. Citrus Fruits - these are not only immune boosters, but the vitamin C in citrus fruits also promotes collagen. Kale - the antioxidant powerhouse is a strong source of iron which kelps oxygenate your skin. Red Bell Peppers - they contain a whole lot of vitamin E and beta-carotene, both needed to help skin retain moisture. Tomatoes - packed with lycopene which is a very powerful antioxidant.